* Mariell's top-selling wholesale bridal, prom or bridesmaids earrings are an elegant linear design with cascading Austrian crystal bubbles. * Mariell's enchanting bridal, prom or bridesmaids earrings are an elegant linear design with cascading Austrian crystal bubbles. 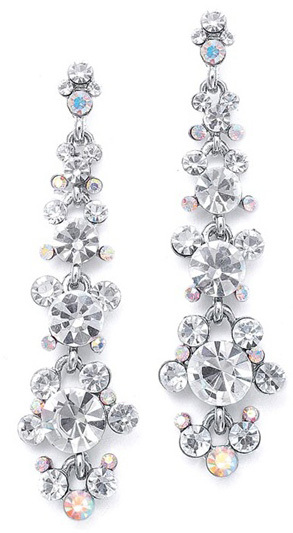 * These top-selling earrings are 2" h and will make a glistening accessory for any wedding, prom, pageant, homecoming or formal affair.